The post from the Kansas City Police Department ended a monthlong man … er … colonhunt. 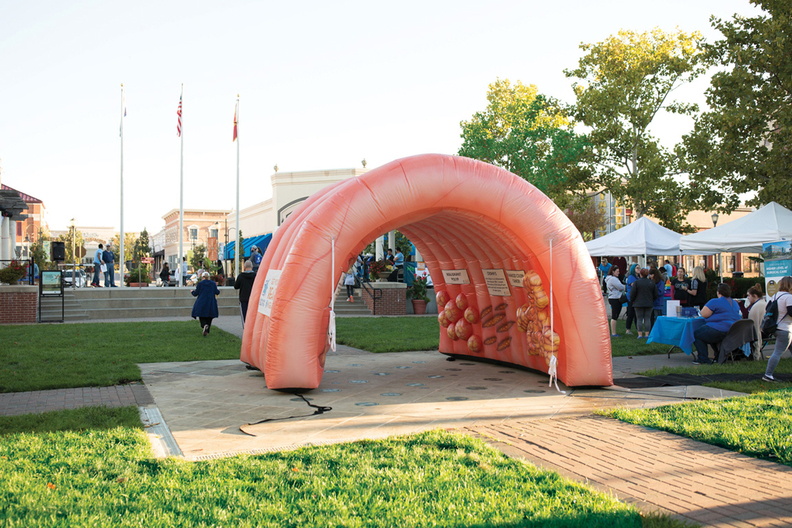 As Outliers reported Oct. 29, the 10-feet-long, 150-pound inflatable colon went missing Oct. 18. But it wasn't all bad news, publicity surrounding the theft brought extra attention to the Colon Cancer Center, which raises awareness about a disease that causes roughly 50,000 deaths a year. It even inspired the #StolenColon social media campaign and “news of the Stolen Colon has reached over 186 million people,” the coalition noted on its website. The American Society of Gastroenterology had offered a $1,000 reward to anyone who came forward with information regarding the missing colon. A fundraiser organized by the Colon Cancer Coalition to buy a new colon raised over $11,000 of its $4,000 goal. Quest Diagnostics and Salix Pharmaceuticals stepped up with sizable donations enabling the coalition to buy not just one, but two replacements. So with the recovered inflatable, that makes three.